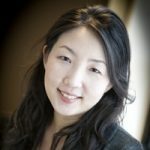 Young Mie Kim, associate professor in the School of Journalism and Mass Communication, founded Project DATA to study how political campaigns use digital media and data to reach an audience. Before Facebook, Twitter and Google fell under scrutiny from congressional committees about the ways Russians may have used the platforms to target voters with news and advertisements before the 2016 Election, Kim started studying the way campaigns use data and digital media to reach out to people and its new aspects and implications for the functioning of democracy. Q: What is Project DATA? Kim: DATA is an acronym for Digital Advertising Tracking and Analysis, and we define advertising really broadly as any messages that are designed for political purpose anticipated by a digital platform. A lot of digital advertising is not just based on sponsored ads, which are conventional, but you can also just create native advertising that looks like a regular news feed. It’s sort of like propaganda, but I almost don’t want to use that term because it has a negative connotation, so that’s why we use advertising. I do want to emphasize how broadly we’re defining advertising in order to better understand digital media campaigns because with a lot of digital media, there’s a blurred distinction between paid advertisements and non-paid, PR type advertisements. Q: So what are the different steps that have gone into the project? Kim: The major research question that we have is “How do campaigns use data?” We’ve learned that what campaigns have been doing is microtargeting. Microtargeting is targeting people at the very individual level. For example, let’s compare digital advertising to TV advertising. With TV advertising, you usually buy TV time based on the TV market. First, you specify the market, then buy the TV time, then customize messages to the market. Now with digital media, you can actually target individuals. Now we have data and we have data analytics techniques so we can combine public data with commercial marketing data, augment it all and predict who is likely or unlikely to vote for a specific candidate. Now, at this point, campaigns are able to target each and every individual in the United States. It’s really amazing. So, the project is designed to see to what extent political campaigns are involved in these practices and what the means are for people forming attitudes toward candidates and their engagement in politics. Microtargeting means the advertisement is designed for you only, and you’re the only one that is exposed to a specific message. It’s really hard for researchers to track digital advertisements. So, that’s one thing we wanted to know, and we realized there’s really no good way to observe that. So, we developed an app that automatically tracked your ad exposure. If we did surveys, for example, people won’t necessarily remember all of the ads they watched. So as a participant, you just install this program and it runs in the background and captures all of the ad messages during your participation. Then, we analyze the data, ask participants about demographics, political leaning and political engagement levels and track people’s candidate preferences over time. Later, we’ll link survey responses with exposure so we know what kind of messages are sent to what kind of people, and to what extent messages are customized. We also track the sources of the advertisements. You can lie about who you are at the source, or you can refuse to reveal your identity, but we track the links and track it back to the sources. Q: When did you begin this project? Kim: We collected the data during the 2016 primary elections, but that was small scale to test to see if it works. For the general election study, we had 10,000 volunteers that completed a baseline survey and used the app for about four weeks. 1200 people also filled out weekly follow-up surveys. We did it up until Election Day and compared it to their ad exposure patterns. The same campaign can promise two different things to two different people. You can’t do that in public, but you can do it online. Q: What does this project mean for the ethics of journalism? Are there ethical concerns that have come up or might come up? Kim: There are so many ethical implications. Where to start? One thing is misinformation like fake news or Russian collusion with the campaign. These are all issues that can happen online. Digital advertisements happen at an individual level so no one else but you knows what people are doing behind the scenes. The same campaign can promise two different things to two different people. You can’t do that in public, but you can do it online. Unless people share what they received with researchers, journalists can’t monitor this process. We’ve found specific organizations are just lying about the other candidates. We have found three important things so far. Campaigns are an important source of political information because you can compare candidates. But since campaigns only target certain types of people, some aren’t getting any info from political campaigns at all. Some think certain segments of the population aren’t as important as others. Data campaigns use data biases. Younger voters and minority voters are not getting political information as much as their counterparts because some of the data that campaigns use is voter registration. New immigrants have a short history, and so do younger voters. Since these campaigns don’t have a lot of data, they have poor predictive models and these people are not getting enough information. Voters themselves have a responsibility, so people that don’t seek out political information won’t get any. That means campaigns won’t get any data, which creates a vicious cycle and only reinforces existing gaps in terms of political information. The gap continues to widen. Some that get political information aren’t even necessarily getting the right information either. Hispanics and Asians are spending as much time online as white people, but aren’t getting as many politicized ads since campaigns have a lot of data about white people. In past campaigns, they also aren’t seen as important as white people. [President Donald] Trump heavily criticized minority voters and knew they weren’t going to vote for him anyway. Some people are considered to be important. Usually these are the swing voters that are interested in politics but aren’t as satisfied with their political candidates or parties. For example, white, rural, blue-collar people may be interested in politics but have low trust in the government. Campaigns can send them a lot of negative information about the other candidate. Many campaigns now are targeting the opposing party for voters that don’t like their candidate, and send out negative attack ads. Like Democrats who didn’t like Hillary [Clinton]. Q: What are the next steps for the project? K: Good question. It has a lot of policy implications, so do we need to put more regulations on it? These aren’t easy issues, but if we pin down what exactly causes these problems with misinformation and discrimination and privacy issues, we can make a specific policy. Another thing is expanding this project. If you think about prevalence of data in the future, it will determine a lot of things. We can use the same data for other decision-making like marketing. People who don’t have access to digital media or mobile phones or people who [are lower] income are going to be excluded in every aspect of life because everything will be based on data. Misrepresentation and unintended data discrimination is going to be a huge issue, so that’s something we’re trying to investigate more. We want to discuss the implications beyond the election, but to do that we need to have a better understanding of this and microtargeting practices in a political context.